The account of two U. S. Navy vessels being seized by the Iranian navy earlier this week seems completely implausible. No part of it makes any sense. The story is that two river patrol boats – bristling modern-day incarnations of the Vietnam swift boats – were navigating south from Kuwait to Bahrain. 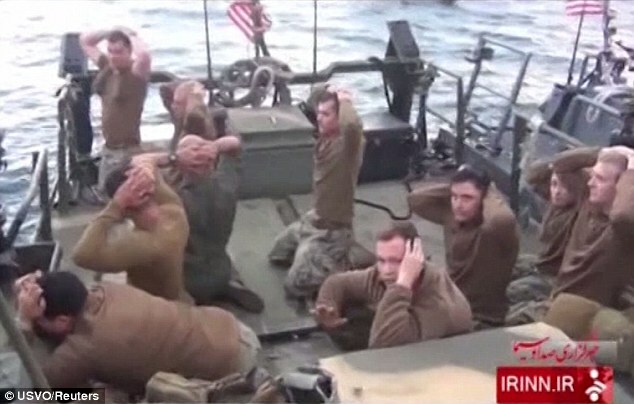 At some point, via some means, the two boats, with their contingent of five sailors each, surrendered to the Iranians. Two accounts have been offered as to how that happened. The first was that one of the vessels lost its engine and that they both then drifted into Iranian waters. The other was that the two boats had been operating fine, but inadvertently navigated into Iranian territory. Simply put, they got lost. To read the full article, follow the link, above.